I decided to start out the new year watching what I consider to one of the best if not the best science fiction television episode ever. It premiered in 2007 and was written by Stephen Moffat. If you don’t recognize that name, then chances are you’ve never watched an episode of Doctor Who. Or, Sherlock for that matter. I can forgive ignoring Doctor Who. After all, it is a 50 year old science fiction television series. But, Sherlock? You’ve never seen Sherlock? Get thee hence to iTunes or to Best Buy or to Netflix and watch the first six episodes of Sherlock and if you can stand it, turn on closed caption because the rapid fire deduction of Benedict Cumberbatch’s version of Sherlock Holmes will be unintelligible at best. Easily one of the best modern adaptations of Holmes I can’t get enough of this series. I’ve watched those six episodes at least a dozen times each and marvel each time at the brilliant level of writing (and, yes, acting). If you want to learn how to write a compelling and gripping story, watch anything written by Moffat, especially Sherlock. Pay attention to the pacing, the dialogue, the sub-text, the plotting, the timing. Everything is brilliant! Yeah, so back to Doctor Who. If you’ve never seen an episode (particularly of the modern incarnation) and you a science fiction fan then you must watch “Blink”. Actually, the episode features the Doctor in only about 10 minutes of the show. It is definitely anchored by a young Carey Mulligan playing Sally Sparrow and it is the smartest, most well written story. You don’t even have to understand the mythos behind Doctor Who to enjoy the story. It is completely self contained and for a time travel story, it is too perfect. The problem with watching this episode is you will NEVER be able to look at a statue the same way again, particularly if it is of an angel. In 2009, I went to London and Paris. Standing in the shadow of Notre Dame cathedral with all of its gargoyles and statues of angels and demons I definitely got a full body shudder! So, take an hour sometime this weekend and find “Blink” from 2007 part of the new seasons of Doctor Who and watch it. You’ll never regret it. Just remember. Whatever you do, don’t blink! 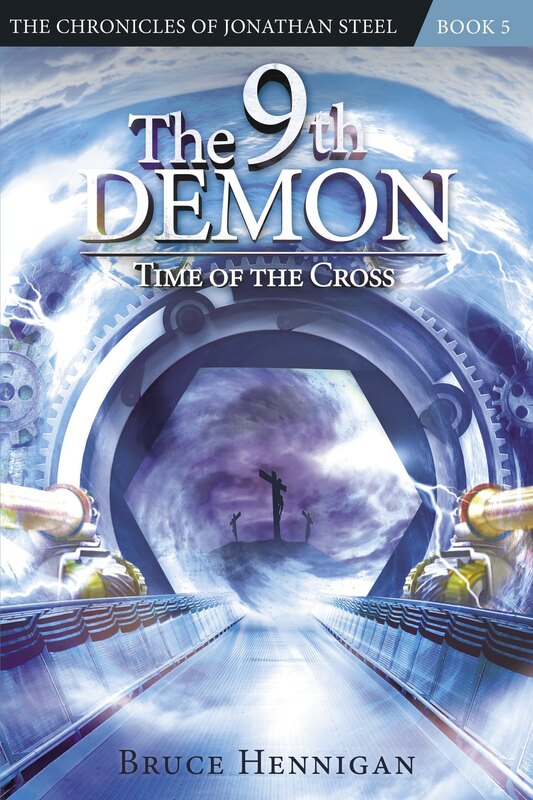 By the way, you can save on purchasing my Chronicles of Jonathan Steel books at www.11thdemon.com. Check it out today! Posted on January 10, 2014, in Breaking News, My Writing, Speculative Fiction and tagged Benedict Cumberbatch, Blink, Carey Mulligan, Doctor Who, jonathan steel, Martin Freeman, Sally Sparrow, Sherock, Watson, Weeping angels. Bookmark the permalink. 4 Comments. Bruce! We love both Sherlock and Doctor Who. We’ve watched every episode of both. And Blink if my favorite episode of The Doctor too. The weepin angels are pure genius. And I agree, Stephen Moffat is a master of storytelling. It shouldn’t surprise me you love Doctor Who being a master storyteller yourself. I can’t wait to see what will happen with Capaldi. Frankly, I’m ready for a darker, snarly Doctor! Thanks for the comment. The game is afoot! My daughter was hoping for Ben Wishaw and was disappointed but I, for one, miss the old snarky doctors like Baker and even Eccleston. Just watched third episode of the new season of Sherlock and it would seem Benedict Cumberbatch might be available for a regeneration! Sorry, spoilers!